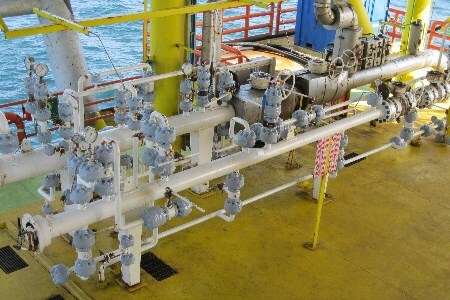 Oxifree representative for Malaysia, IEV Malaysia Sdn Bhd, has been awarded a US$1.9 million contract to provide Oxifree TM198, a thermoplastic coating for corrosion and contamination prevention, to a major global oil and gas operator. The service contract is signed for a period of two years, commencing 30 March 2017 with an option to extend for an additional one year. The work will involve the application of TM198 thermoplastic coating on metallic components as required by the client, on a call out basis. Surface preparation is minimal requiring only the use of a wire brush to remove loose contaminants. TM198 is melted down to a liquid form from a solid resin and applied using a heated hose and gun, allowing it to conform to the shape of any complex component and provide 100% protection against corrosion and contamination. Oxifree coating can be applied to live equipment without the need for costly shut downs. It provides protection immediately as it cools and solidifies within seconds on impact, even in the most extreme of environments.